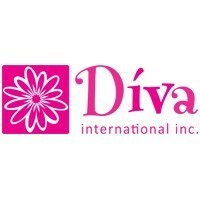 KITCHENER, Ontario, — Diva International Inc. (Diva), maker of the DivaCup, announced that Layshia Clarendon, the Women’s National Basketball Association (WNBA) star, will be joining its mission to make sustainable, reusable menstrual products more accessible. Clarendon, who plays for the Connecticut Sun, will represent Diva as a spokesperson and brand ambassador for 12 months. Clarendon’s partnership with Diva International will include social media posts and media appearances. Both Clarendon and the DivaCup team hope to make strides in education on sustainable menstrual care options, while also helping to break the stigma and taboos associated with discussing periods in the media. The partnership will kick off with Clarendon distributing an official announcement to her fans through her social media channels. To celebrate, Diva is providing Clarendon’s team, the Connecticut Sun, with DivaCups for each of her teammates to try, in hopes that they will discover the same freedom she has.